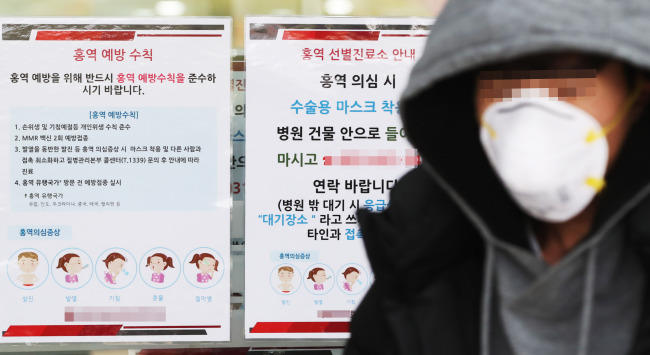 An additional case in Seoul brought the number of confirmed measles cases in a recent outbreak in South Korea to 38, according to Korea Centers for Disease Control & Prevention. The latest case was confirmed in Gangdong-gu in Seoul on Thursday. The patient is a 17-year-old girl who resides in the Philippines and recently entered Korea after visiting the US. Of the 38 people who have contracted measles, 27 have been released from medical isolation after the KCDC confirmed they were no longer infectious. The remaining 11 are still in isolation as of Friday. The KCDC is planning to supply 150,000 doses of the vaccine by the last week of January. An additional 290,000 doses will be provided by mid-February. To deal with possible temporary vaccine shortages, a hot line with suppliers and hospitals has been established to promptly provide vaccines if needed.